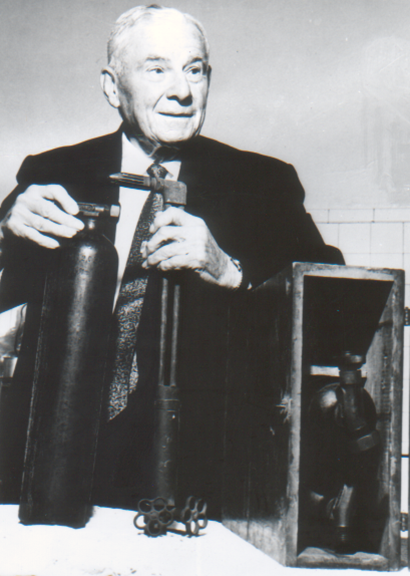 " From its inception almost two decades ago, a small group of dedicated individuals and corporate sponsors committed to telling the story of propane in partnership with the newly conceived National Museum of Industrial History. Today, we celebrate both the opening of this exhibit and of the Museum. We are so pleased to see the realization of our goal, which was to capture the public's attention and educate them about the rich and engaging history of the propane industry, and to offer the museum's visitors a better understanding of the product's past as well as its exciting potential as an energy source of the future. " Clarance Staats • Charles Chapman • David W. Lowe • Bob Mattocks • David Onsgard • W. W. Gresham, Jr. • B. Rex White • Rick Brown • H & H Feed Co. • J. W. Hunter • William T. Bowen • Carl E. Tomek • Lawrence Lichti • Allstate Gas Co. • Huffhines Gas Inc.